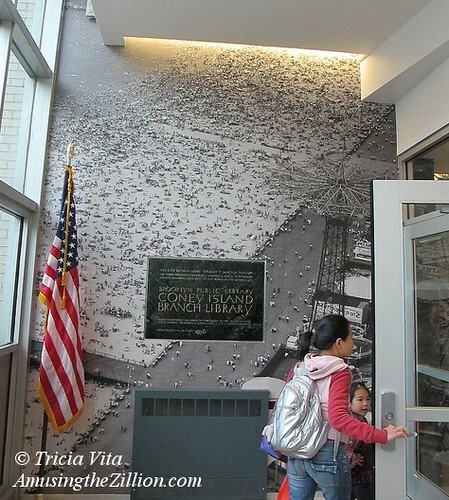 The Coney Island Branch of the Brooklyn Public Library reopened on Wednesday for the first time since it was severely damaged by Superstorm Sandy almost a year ago. 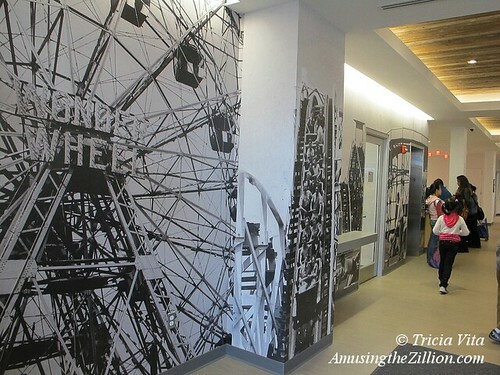 The lobby and interior have been decorated with photos of Coney Island’s landmark Wonder Wheel, Cyclone and Parachute Jump from the library’s Brooklyn collection. The Jump itself is just down the block and can be seen from the Mermaid Avenue library’s plate-glass windows. A few weeks after Sandy, the Daily News reported that five Brooklyn libraries wrecked by Sandy would require $10 million in repairs with the Coney Island location being one of the most seriously damaged. 35,177 books and DVDs were lost. The photos were horrific. 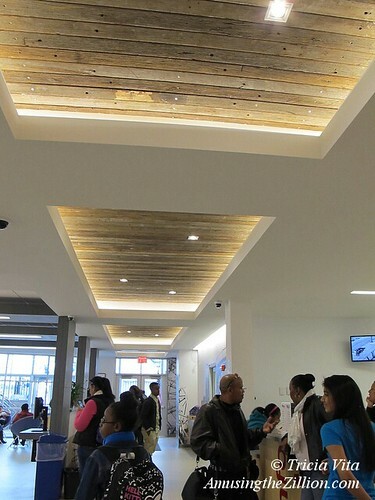 Built in 1956, the library not only has new books and DVDs, it was beautifully redesigned to reflect the history of the neighborhood and meet the 21st century needs of the community. The children’s books and the computers, which used to be on the second floor, are now located on the main floor. 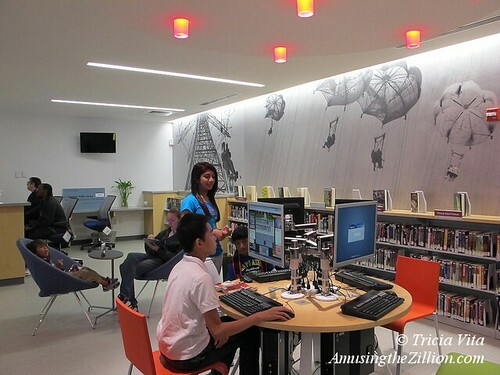 The new computer stations, comfy reading chairs, and kid-sized tables equipped with iPads were already popular on opening day. The second floor is now designated “the quiet room” for studying and its auditorium has been replaced by two meeting rooms on the first floor. Beautiful, I adore the image of the parachutes riding the sky. was once a ride. It is so great that they will be surrounded with images of the Parachute Jump’s history. Yay! Wow. Very impressive. Must stop by. I guess iPads are only for children. As a Coney Island “visitor,” I may have to include this in my next visit. Looks awesome!